John Delaney may not have ridden to the Dáil on a donkey with palms at his feet, but he did a fairly good impression of an improbable Messiah coming to save the Football Association of Ireland in its hour of darkness. One says improbable because Messiahs do not generally come with salaries of €360,000. Unlike a true saviour, Mr Delaney also did not bring much new light to the issues surrounding his controversial €100,000 loan to the FAI. There were many unusual aspects to the former chief executive’s address to the committee. Most notable was his refusal to answer questions. Indeed his statement arguably raised considerably more queries than answers. Among them are: Why was the full board not informed about his remarkable act of selflessness, which saw him stump up so much of his own money merely “out of the love of football”. It was also unorthodox, to say the least, that the matter was not raised at the next major board meeting. Mr Delaney’s cheque was, after all, necessary to stop the association from breaching its bank overdraft limit. If the FAI’s finances were so depleted, its board had to be informed and Mr Delaney had a responsibility to do so. More disconcerting still, the “loan” was not mentioned in the minutes and therefore auditors did not know about it. None of this reflects well on the association’s awareness of good governance. One also wonders why Mr Delaney saw fit to attempt to prevent a newspaper from revealing details of his benevolence, even if it was a “loan”. Mr Delaney says he regrets the decision of Sport Ireland to withhold €1.4m from the FAI. He also is sorry about any embarrassment he may have caused. The issue is not Mr Delaney’s discomfort or lack of judgment, it is about accountability, reputation, trust and transparency. His decision not to take questions will disappoint fans and voluntary workers who are vital to the FAI’s survival. Remaining shtum on such critical issues, or scowling at them, will not make them go away and the FAI will be dogged by them until the matters, and all remaining doubts are put to bed. 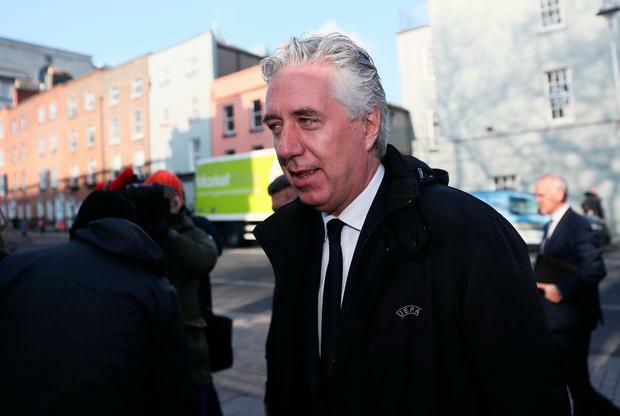 The FAI has, after all, benefited from €52m in taxpayers’ money in past years. Measures must immediately be taken to address real concerns about how the FAI conducts its business. The fact Mr Delaney remains as the association’s executive vice president is also a matter of disquiet for many. Can the finances of the sporting body really afford the creation of such a lucrative post? And on what basis was Mr Delaney deemed the only candidate in the country suitable for filling it?